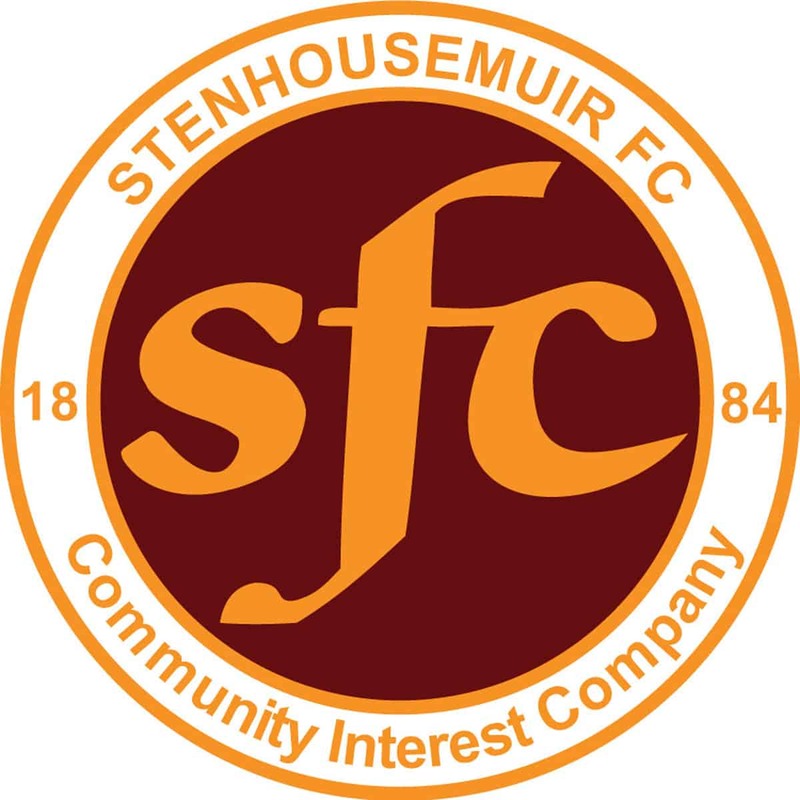 Stenhousemuir –Fleming, Meechan, Summers, Lithgow, McMillan, Hodge [b90], McMullan, K.Millar [b65], McMenamin [Grehan 90], Marenghi and Watt [b58][Fotheringham 74]. Subs not used – Duncan, Faulds, Gallacher, Sutherland and Smith. Stranraer – Mitchell, Pettigrew [b90], Longridge, Robertson [b71], McKeown, Aitken, Gallagher [Bell 65], Stirling [Winter 65], Malcolm, Longworth [McShane 65] and Gibson. Subs not used – Russell, Rumsby and Tobin. Stenhousemuir went into this game seeking their first win of 2015 against the league leaders Stranraer who were on a high after a 5-1 drubbing of Dunfermline the previous Saturday. This would have meant some foreboding in the Stenhousemuir faithful apart from the fact that the Warriors were unbeaten in the encounters this season and their last victory was down at Stair Park in December. After a covering of snow the previous evening and early morning and with snow showers during the day the game could have been in doubt but thanks to work by the groundstaff led by ‘Oscar’ the pitch was in great condition after the snow was brushed off and despite a media outlet stating the game was off it was definitely on and the Warriors were rewarded with victory in this hard fought game. There was a healthy contingent up from Stranraer for this midweek game in a poor crowd of only 221 the lowest at Ochilview this season. Those that were absent missed out on an excellent and hard fought win though it looked unlikely in the opening exchanges with Stranraer certainly in the ascendancy with Willie Gibson in particular causing problems down the wing. A timely tackle by Ciaran Summers on Grant Gallagher averted the danger in the eighth minute and a brave save by Greg Fleming to deny Craig Malcolm after a short pass back by Alan Lithgow highlighted the nervousness of Stenhousemuir in these stages but as the game progressed they were to cause problems of their own and took the lead in the 20th minute when Anthony Marenghi ran through the midfield before playing the ball to Josh Watt who cut inside and his an effort with his favoured left foot that took a slight deflection as it went into the net to put Stenhousemuir ahead. Stranraer were not allowed to settle and were vulnerable to the counter attack with Paul McMullan in particular causing problems with his pace and he had a couple of efforts just wide of the target in quick succession. Nevertheless when the whistle blew for half time Stenhousemuir would have been the happier of the two teams. The second period saw Stranraer camped in the Stenhousemuir half of the pitch for most of the first ten minutes but despite all their possession they didn’t test the keeper as they struggled to get past a strong defence. McMullan in another breakaway saw David Mitchell tip an effort into the side net in the 56th minute. There was a let off just after the hour when a Gallagher effort was deflected just wide and a powerful drive by Craig Pettigrew a minute later had the same outcome. Stranraer made a triple substitution to get back on level terms and it almost paid dividends when one of the subs Steven Bell had an attempt cleared off the line as Stenhousemuir struggled to clear their lines at a corner kick. After that though it was Stenhousemuir who looked the more likely to get a goal and Ciaran Summers saw a strike saved by Mitchell after build up play by Bryan Hodge and McMullan. This was followed by a better save from the Stranraer keeper to deny McMullan who not for the first time latched onto a ball behind the Stranraer defence. As the game drew to an end Colin McMenamin saw a drive tipped over by Mitchell and McMullan had another attempt just over. Stranraer were unable to throw everyone up into attack for fear of being picked off in the counter attack and as a consequence the Warriors were able to see the game out despite the amount of time added on at the end which gave a nervous few minutes but when the final whistle eventually blew the relief of players and supporters was palpable.